Happy New Year! I know I haven’t been posting much since Thanksgiving. I have four unfinished Christmas posts sitting my draft folder. Right after Thanksgiving, I got a double ear infection, and I was unwell for about 3-4 weeks. I recovered just in time to leave for Canada for our Christmas vacation. And would you know that we had card trouble that delayed our homecoming for about a week. Whew! Needless-to-say, we have had a rough start to 2018, and it took us a week or two to really get into the groove of our back-to-school schedule. I seem to be busier than ever. For those of you who may be new to the Dear Homeschooler family, I have a first grader (Princess Super Kitty) and a third grader (ZooKid). 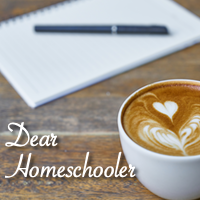 I teach all the coursework at home, then on Tuesdays, we do electives at Timothy Ministries, which offer homeschool classes at the local First Baptist Church. Of course, don’t forget about basketball practices, games, and field trips. As homeschooling moms (and dads! ), we know just how much time is required to school at home. It can be tiring at times but so worth it! I continue to teach English online at VIPKID (read more about my experience here). I enjoy it, and the extra income is helpful. I’ve been with the company since last May, so I am fairly familiar with the curriculum, and my prep time is very minimal. I will continue to write reviews for the Homeschool Crew, and I am planning on expanding the categories for the Bookshelf , a feature where homeschool bloggers can link up their posts by topic and parents can have a subject-based resource. I will also be accepting posts from some guest bloggers, who have great ideas to share. If you have suggestions for posts or Bookshelf categories, please leave them in the comments below.